Sage Coffee Machine Reviews - Which is the Best Bean-to-Cup Model? Sage Coffee Machine Reviews – Which is the Best Bean-to-Cup Model? Sage by Heston Blumenthal coffee machines are known for their stylish design and excellent espresso. The company's machines are also expensive, with the priciest model costing over £1500. Can a domestic coffee machine really justify this price? And which of the Sage range provides the best value for money? In this article, we'll briefly discuss the company's background, before listing their three best coffee machines in greater detail. We've also provided a comparison table so you can quickly see the difference between the various Sage coffee machines. 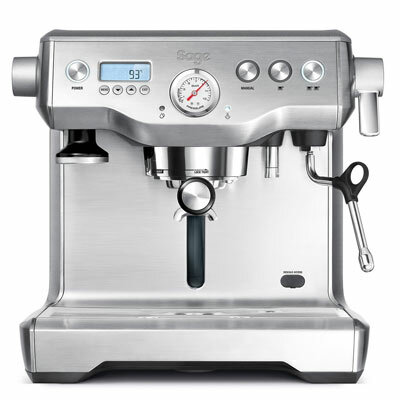 Also, Sage coffee machines are often a combination of traditional espresso machine with a grinder, rather than a "true" bean-to-cup. This means the machines that come with a burr grinder can grind fresh beans for you, but you're involved in the process throughout (including tamping and dosing manually on cheaper models). This gives you more control, but if you're looking for a hands-off machine you may want to look at different brand. Who are Sage by Heston Blumenthal? ​Sage by Heston Blumenthal is a popular brand for coffee related products and other appliances sold in the UK. The company offers a range of items, including the highly-rated (if expensive) Oracle coffee machine. What might surprise you is that Sage by Heston Blumenthal is the UK operating name for the Australian manufacturer Breville. The company sells its coffee machines around the world - the only difference is the name of the brand. While this might seem like a strange decision, especially since Breville is fairly well-known in the UK for other appliances, you can be sure that the Oracle, Barista Express and other Sage bean-to-cup machines are built by a manufacturer with extensive experience. Sage don't just produce bean-to-cup coffee machines though. The company also has a range of traditional espresso machines, along with standalone grinders. Note: All Sage's bean-to-cup coffee machines are available in two colours. The standard colour is silver, but the company also offers a "sesame black" option. We're big fans of the silver design, as we feel it mimics the style of commercial coffee machines - but the black option is available if you prefer. The Barista Express is Sage's cheapest bean-to-cup coffee machine - despite its relatively hefty RRP of £600. It combines the company's espresso machine with a burr grinder to produce excellent coffee with a variety of customisation options. It also comes with a number of features not found on similar models.​ An example is the PID temperature control, which maintains a consistent temperature when passing water over ground coffee. It also includes a variety of accessories, such as the milk jug and pin for cleaning the steam wand. 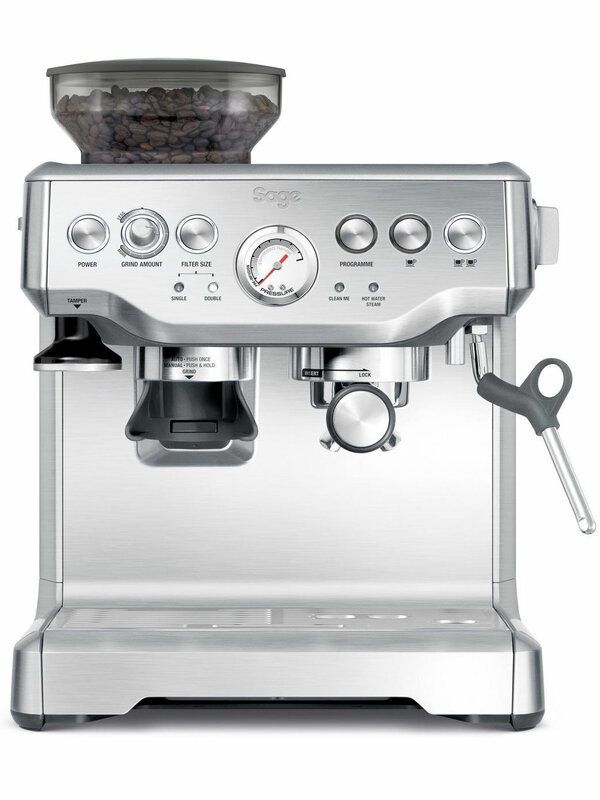 ​In summary, the Sage Barista Express coffee machine is an excellent option for coffee enthusiasts. It has a range of customisation settings, allowing you to adjust the strength, temperature and coarseness. The steam wand is also capable of producing micro-froth milk that's perfect for cappuccino. While it doesn't have the advanced features of the Oracle or Dual Boiler, it's a great option if you're looking for a mid-range Sage coffee machine. 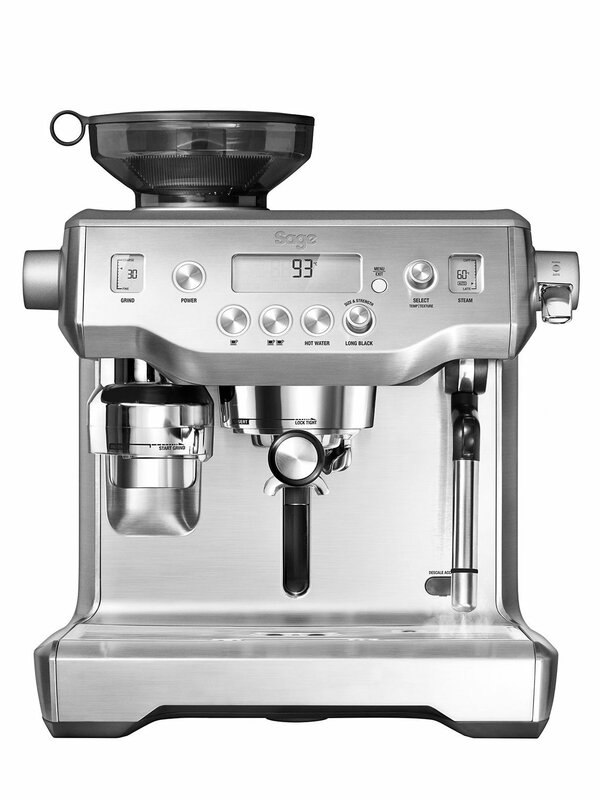 The next model up from the Barista Express - in terms of both price and features - is the Sage Dual Boiler. This model is designed to bring the coffee shop experience into your home, with a range of professional features to extract maximum taste from your beans. However, this is not a bean-to-cup machine - as a bean grinder is not included. Instead, you need to buy a separate grinder. While we usually only review bean-to-cup models, we've included the Dual Boiler for completeness as it provides the link between the Barista Express and The Oracle. Aside from the lack of grinder, one of the biggest differences between the Dual Boiler and the Barista Express is the built-​in LCD display. This conveniently shows a variety of settings such as shot volume and temperature. Unlike the cheaper model, it also includes a heat exchanger, which pre-heats water to the ideal temperature before entering the boiler, and an over-pressure valve. This latter feature prevents bitterness by maintaining consistent pressure throughout the extraction process. The Dual Boiler also makes use of low pressure pre-infusion. ​This gradually ramps up pressure during the extraction phase so the coffee expands before it's hit with high pressure water. All of these features combine to make a truly impressive Sage coffee machine that provides great control over your espresso. To summarise, if you're looking for greater control over your espresso but don't want to pay £1500+ for The Oracle, the Dual Boiler is an excellent alternative. It's still expensive, and the lack of a grinder means it's not a bean-to-cup model, but we think it hits a sweet spot between taste and price.​ There are cheaper options with automatic milk frothing though - and the lack of a bean grinder means you'll need to pay extra to get a separate one. The Sage Oracle is the top-end model by Sage and includes a number of features not found on cheaper models. 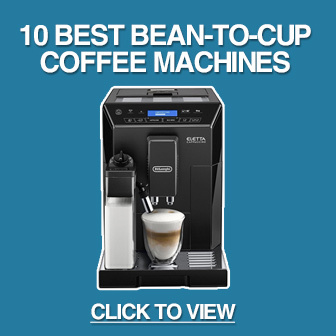 It also includes a built-in bean grinder with automatic dosing and tamping. With its high price tag, you would expect the Oracle to produce excellent espresso - and it isn't a let-down in this respect. The machine makes consistently outstanding espresso using both beans or ground coffee. Sage even send out one of their staff to do the initial setup to ensure you get the best possible taste. Unlike the Barista Express and Dual Boiler, the Oracle provides automatic milk texturing. This is great for ​automatically producing latte and cappuccino, and means you don't need to worry about fiddling with a manual steam nozzle. Like the Dual Boiler, the Oracle uses Sage's over-pressure valve. This maintains a lower maximum pressure during the extraction process to prevent excessive bitterness. Like the other Sage coffee machines on this list, it also includes a PID temperature control system and low pressure pre-infusion. Other features include a programmable pouring setting, which controls the volume of espresso via the control panel, and a triple heat system. The latter feature uses separate steam and espresso boilers to ensure water is delivered at exactly the right temperature to maximise flavour. 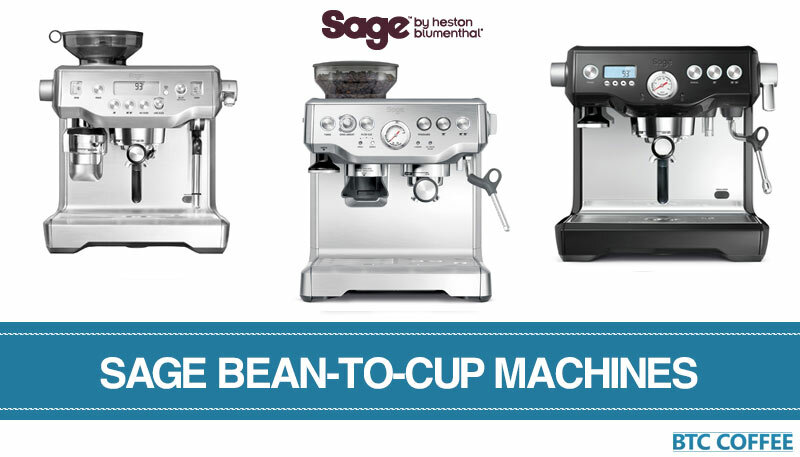 The Sage by Heston Blumenthal the Oracle is an exceptional bean-to-cup coffee machine. It produces great espresso with rich taste, can automatically froth milk for cappuccino and includes a variety of commercial-grade features. The obvious downside is the price - it's one of the most expensive domestic coffee machines available right now. Even so, if you love espresso and can afford it, the Oracle is a fantastic buy. Sage by Heston Blumenthal coffee machines certainly aren't cheap - but they provide excellent espresso and include features usually reserved for commercial machines. Many of the company's machines are truly innovative, and we like how they include advanced technology such as PID temperature control, low pressure pre-infusion and over pressure valves. Considering The Oracle has such a wide range of features and provides automated grinding, tamping and dosing, it's our #1 Sage coffee machine. If you can't spend £1500+, however, the Barista Express is a good alternative - although it's less automated than true bean-to-cup machines.